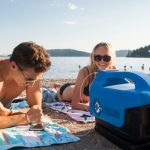 UPDATE: It seems that Noria Portable Window AC has re-branded to Kapsul Air, you might want to checkout their latest development and how to order this unit from this page. The world is getting hotter. During a heat wave you would feel miserable if you didn’t have an AC in the room. 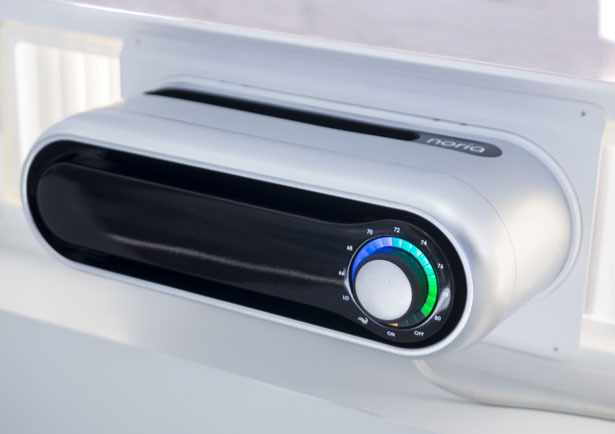 Some people prefer a window air conditioner because the installation is pretty easy and it doesn’t require professional help. Unfortunately this type of AC hasn’t changed for decades and they are usually big, ugly, and loud. 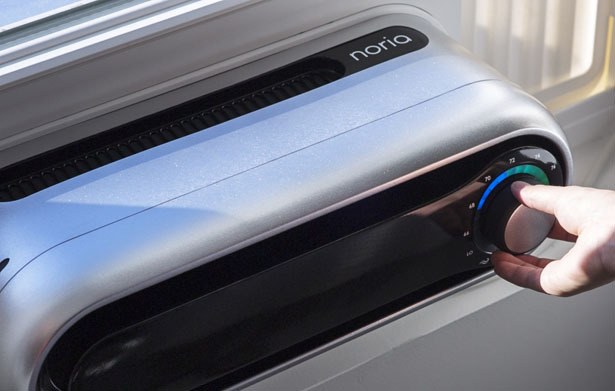 Introducing Noria, a redesigned window air conditioner that features a sleek and modern design, offering quiet and efficient fans to keep you cool. 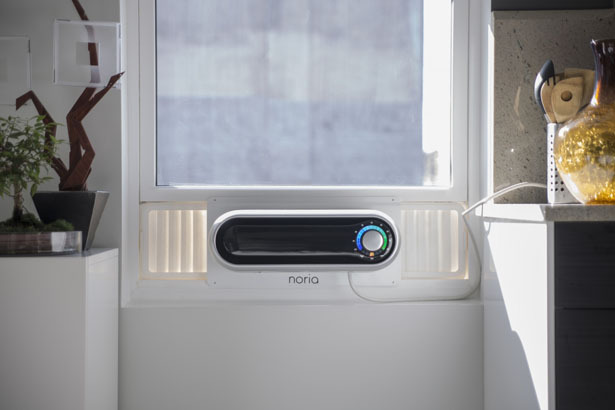 Noria makes living with a window air conditioner a hassle-free experience. The thermostat knob interface makes interaction simple. You can control Noria from anywhere via the iOS and Android app. A low profile design allows you to keep the view from your window, and makes storage a breeze. The fresh air mode brings in outside air. Noria is less than 6″ tall. The reduced size means that the view outside is no longer obstructed. 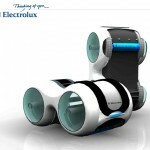 The fans and ventilation system are quiet and efficient. 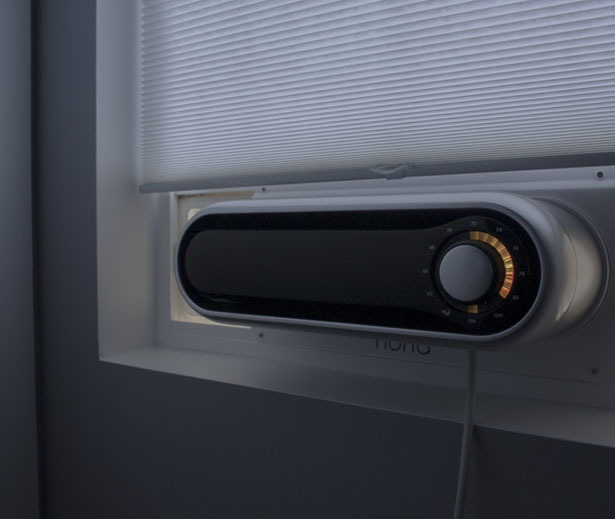 Unlike other window air conditioners, Noria directs the cool air up towards the ceiling that eliminates cold and hot areas in the room. 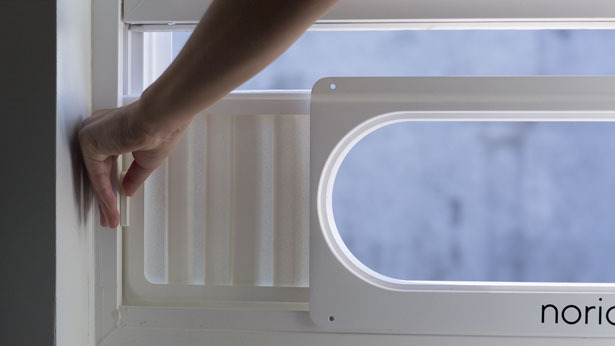 It also comes with a special window frame adapter to ensure a safe and easy installation. The adapter is installed first to create a secure, sealed socket for Noria to slide and lock into. No more wrestling with a large cube in an open window. 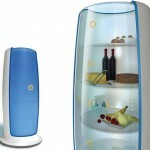 The innovative handle and rounded sides further aid with installation, removal and storage. 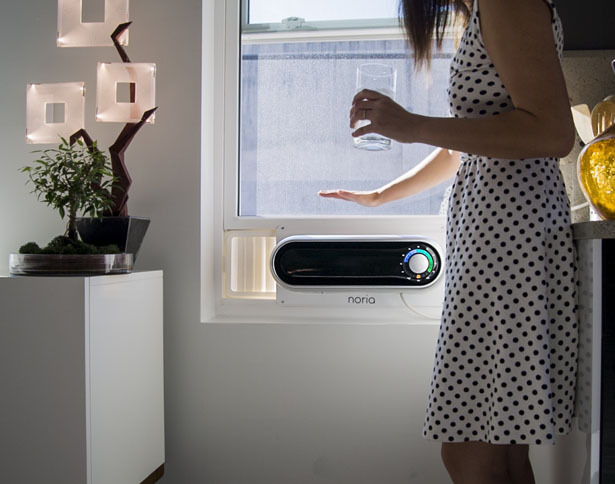 Tuvie has received “Noria Window Air Conditioner” project from our ‘Submit A Design‘ feature, where we welcome our readers to submit their design/concept for publication. Tagged as compact window ac, easy to install window air conditioner, modern product design, modern window air conditioner, redesigned window air conditioner. 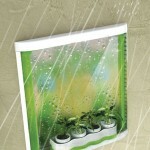 Ideal for apts, condoes, homes, offices urban alone, nice style & design, Lisc to produce. how much and where to buy one? 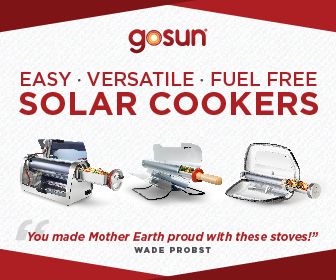 Maybe for $200 or $250 but anything more, PASS>…It's only 5,000BTU and not worth anything close to $400. I think the design is beautiful and the size is perfect especially for someone who owns a historical home with windows that are not of standard size. 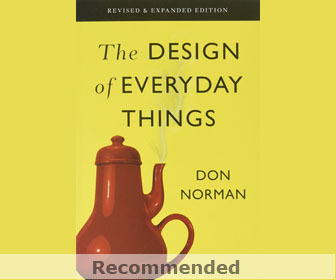 I would like to know more about the performance than the design. 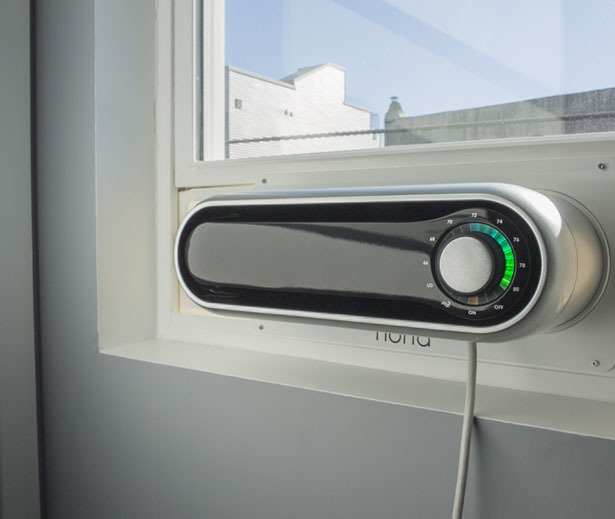 It may look pretty in the window, but is it working properly to cool down the room? More product information is needed. Lastly, are they asking you to send them $500+ for 2 air conditioners that will not be available until 2007? What happens if this product is never put on the market??? Wonderful idea and I am extremely interested, but I am not sending money in advance without more information. Will they be selling these in a variety of BTUs? You are right, we highly recommend that you wait until they have shipped their products to the customers, and see what customers say about it. 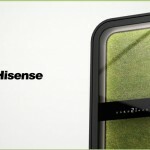 This project was successfully funded, but let's see if they can deliver what's promised. Hi, the link is in the article.